Graduation and retention rates matter a lot when selecting a college, and often private universities have a higher graduation rate than public schools. Many ranking systems and guidebooks factor these metrics in when they rate schools, but they don’t always elaborate on the weight they place on them (or the important, intangible factors behind the hard numbers). While the benefits of graduating college are obvious, the advantages of earning your degree in a timely manner aren’t as frequently discussed. Here’s a look at some of the benefits of graduating in four years—and the meaningful factors that can influence your experience. It’s important that students feel supported during their time on campus, and at many private Christian colleges, this is a high priority. The right balance of guidance, encouragement, and support can prove instrumental during transitional periods, when a sense of belonging or purpose is sometimes hard for students to come by. 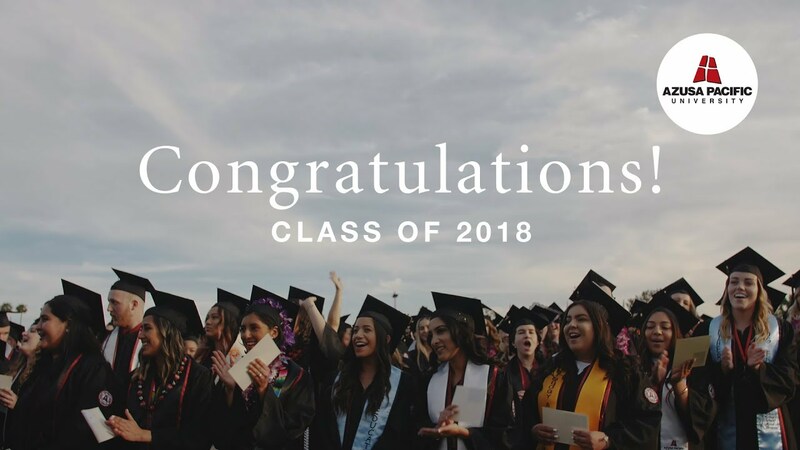 Tedd Szeto, Ph.D., executive director of the Undergraduate Academic Success Center at Azusa Pacific University, shared some of his thoughts on how the community and support offered at private Christian colleges can play into timely graduations. Not only is graduating on time easier on your wallet, it provides you with a competitive advantage and more time to spend on your next chapter. Szeto explains that when a student can successfully complete a degree in four years, they are then able to start their career—or continue their advanced degrees—sooner, which could result in a higher salary and personal satisfaction. Students who take longer to graduate not only end up paying for two or more years of tuition, they also give up two to three years of earning potential when they’re unable to graduate on time. It starts with intentional, early academic planning to ensure you stay on track with required courses, even if that means a few summer classes, so you can graduate in four years. Private colleges have a wide variety of mission statements and affiliations, but private Christian colleges typically exhibit serious stewardship and commitment to students. This can be seen both in the classroom and in the way schools set their students up for a lifetime of success. Graduating on time is a meaningful, intangible benefit of enrolling in a college that prides itself on holistic education, small class sizes, and a code of ethics that extends beyond traditional academic expectations. This kind of individualized attention and dedication can make a real difference in your education. Are you interested in becoming a part of the APU community? Learn more about what APU has to offer and apply today.